At Geno's in South Philly ordering your cheese steak in English is encouraged. And since learning English is a "requirement" in S. 2611 perhaps Specter can schedule his hearings at Geno's. That way, the alien community could practice ordering in English, no insignificant challenge. "Be prepared and know how to order, because the service is fast and the line keeps moving. For example, on a cheese steak with onions specify which kind of cheese you'd like (Provolone, American or Cheese Whiz." 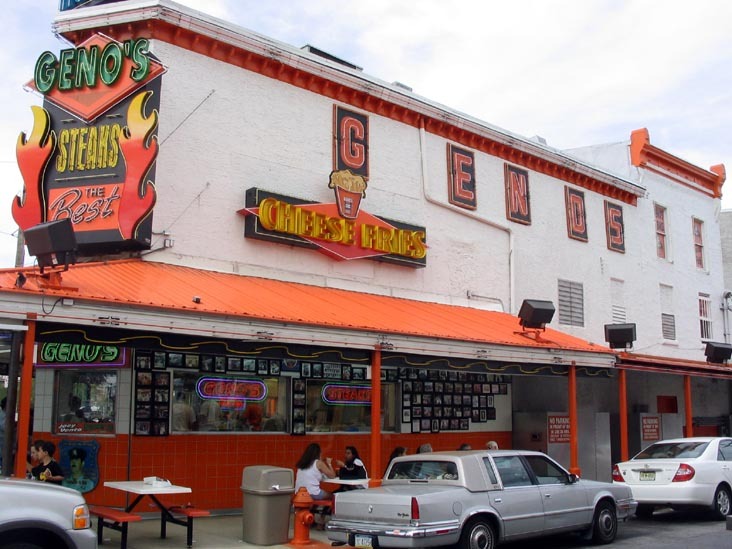 Assuming the aliens ever do learn English, then the whole nasty mess of the lawsuit filed by Philadelphia Commission on Human Relations against Geno's might go away. Ciccolo is a former economics professor and systems engineer. Read his previous letter predicting the inevitable collapse of the Mexican economy here.